Ansa Health Care surgeons offer the highest quality surgery to prevent the hernia from continuing to push out from your abdominal cavity without implantation of plastic mesh. Your procedure is a delicate repositioning of nearby muscles so that they themselves block your hernia, under no significant tension, without implantation of unnecessary plastic mesh. Our surgeons are highly qualified, experienced, Shouldice technique trained, American Board of Surgery certified. Our surgeons, along with our expert team will personally care for you in hours and days after surgery. Your surgery will take place at our facilities which are accredited by the College of Physicians and Surgeons of Ontario. You will be accommodated in a private, well appointed room of your choice, with family close by if you wish. You will not share nurses or surgeons with tens of other patients in an open hospital ward. You will not need overnight stay in hospital. You will be always in contact with your surgeon and team, assuring you of timely personal care after discharge. Our care for you does not end when you leave the Ansa team. Our comprehensive discharge plan will ensure that you thoroughly understand how to care for yourself as completely as possible after your discharge. Our highly personalized care ensures immediate access to your surgical team, not just a group of unknown staff, both before and after you leave our care. 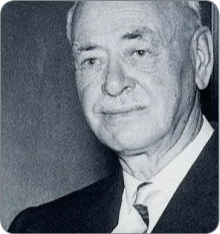 Dr. Edward Earle Shouldice (1890-1965) is the inventor of the Shouldice repair. He developed his innovative technique during World War II, to help young men who were unable to enlist in the military because of their hernias. His unique repair method improved surgical results and reduced recovery time, quickly restoring the young recruits to physical fitness for military training. As news of Dr. Shouldice’s success spread, there was a growing demand for hernia surgery. But doctors and hospital space were scarce after the war and wait times for surgery were long. Dr. Shouldice responded to the problem by founding his own hospital. Regional and local nerve block after light to moderate intravenous sedation (making patients comfortable prior to beginning the operation). Cautery to bleeders or placement of second surgical fields with towel clamps; establishing adequate hemostasis (stopping bleeding) and preventing bruising, blood clots and infection after surgery. Deepening of the incision with scalpel taking superficial external circumflex and superficial epigastric vessels, if needed. Attempts should be made to avoid taking the superficial internal pudendal vessels in the medial end of the incision. This prevents post-­‐operative penile swelling. Tying of superficial vessels with 4-­‐0 Polysorb suture ties (or cautery) on a spool kept in the palm of the hand and knot tying with hemostat or mosquito. This limits excessive use of cautery close to vital nerve and blood vessels. Deepening of the incision with scalpel till groove at the interface of groin and thigh is recognized. A proximal retractor had been put in place. At this stage the external inguinal ring is dissected and a small incision in the aponeurosis of the external oblique muscle is made for subsequent grasping with a hemostat making sure the ilio-­‐inguinal nerve is not crushed. Application of Marcaine in the groove interface between groin and thigh. Superior, inferior and medial retractors; different depth required, or a self-­‐retaining retractor is placed. The last two are held by the scrub nurse and the former by the assistant. The surgeon opens and lifts the incised aponeurosis of the external oblique muscle for the assistant to place a hemostat in the superior ‘flap’. The aponeurosis is fully opened in a direction parallel to the inguinal ligament, making sure the external inguinal ring is opened, medially, and the internal inguinal ring is exposed, laterally. The incision is slanted inferiorly just pass the internal ring. The aponeurosis of the external oblique muscle is gently separated from the internal oblique muscle, superiorly and the spermatic cord, inferiorly. Application of local anesthetic to the area of the external spermatic branch of the genitofemoral nerve (L1-­‐2), spermatic cord and internal inguinal ring. Two hemostats are applied to the inferior flap of the incised aponeurosis of the external oblique muscle. The assistant holds these hemostats, gently pulling in a cephalad direction while the surgeon dissects and incises on the pectineal fascia, lateral to the pectineous muscle and medial to the femoral vein to check externally for the presence of a femoral hernia. Before the spermatic cord is mobilized, the surgeon determines if the ilio-­‐hypogastric nerve (T12, L1) and the ilio-­‐inguinal nerve (L1) need to be protected. The latter usually by applying a cord tape and retracting the nerve inferiorly (and placing it under the inferior retractor), or holding it by a hemostat placed in the upper flap of the aponeurosis of the external oblique muscle and hiding it under the superior retractor). Excision of nerves also an option preventing its entrapment so common with other techniques. The cremasteric muscle is opened with scissors on the superior aspect of the spermatic cord. The cremasteric muscle’s edges are held with hemostats and the spermatic cord is dissected off, in a manner not dissimilar to peeling a banana. Once the spermatic cord begins to be separated from the cremasteric muscle, digital dissection in the posterior aspect of the inguinal canal ensures its liberation and in these maneuvers, the vas deferens is recognized by touch and visual contact. The spermatic cord is dissected off distally (medially) by pulling it from the scrotum until vestiges of the pampiniform plexus are noted. Proximally (laterally), the dissection is conducted to the internal inguinal ring. During this dissection, efforts are made to recognize a potential hernia sac arising from the internal inguinal ring and/or a lipoma of the spermatic cord. In both cases, if present, the dissection is carried out to the internal inguinal ring. By gently pulling on the spermatic cord, the internal inguinal ring is cleared to make sure there is no evidence of an interstitial hernia, usually fat arising from the pre-­‐peritoneal space dwelling in between any layer between the muscles of the abdominal wall. A peritoneal protrusion, if noted, is dissected off the cord structures and dropped back. A hernia sac with a narrow neck is opened, inspected, over sewn and allowed to retract (narrow necks may trap intraperitoneal contents after surgery). A wide neck sac is not opened and pushed back into the retroperitoneal space. A lipoma of the spermatic cord may be excised, sutured tied and allowed to retract. Before the space of Bogros is developed, the superior cremasteric flap is removed. The lower flap of cremasteric muscles is divided between hemostats and the stumps are double ligated. The medial stump will be utilized for suspending the testicle, to prevent a drooping dependent testicle postop. At the time of closing the space of Bogros, the lateral stump will be utilized to reinforce the first layer of 2-­‐ O or 1-­‐O prolene suture, as it closes the first layer of the repair at the internal inguinal ring. Dissection in the internal inguinal ring allows for a safe opening of Bogros’ space which is opened from lateral to medial (pubic tubercle) and staying superiorly, just below the “conjoined tendon” and making sure that the opening is made in the appropriate plane, below the transversalis fascia. During the initial dissection at the internal inguinal ring, particularly in the obese patient, extra care must be exercised to avoid injury of the internal epigastric vessels. Injury to the internal epigastric vein may follow its avulsion from the femoral vein during attempts to control bleeding. Digital palpation of medial to the femoral vein permits the detection and measurement of a femoral pocket; this allows an assessment of the femoral canal, presence of any femoral hernia or assessment of the size of the femoral canal. Pre-­peritoneal fat in Bogros’ space is gently teased off the supra adjacent fascia transversalis and pelvic brim, down to Cooper’s ligament. Vessels in the area, including a marginal vein running transversally above Cooper’s ligament, need to be left alone. Local anesthetic is infiltrated in Cooper’s ligament, pubic tubercle and under the upper flap (conjoined tendon) to delineate more clearly the edge of the rectus anterior muscle. The pubic tubercle is cleaned off residual tissue to have a clean field for the initial anchoring of the first line of Prolene suture in this area. Repair is commenced with Prolene suture in the most medial (pubic tubercle) finishing the first suture line that apposes the lower flap of transversalis fascia and the ridge of the rectus anterior muscle. This suture line integrates the lateral stump of the cremasteric muscle, thus reinforcing and reforming the inguinal ring. It is this living muscle that helps prevent the recurrent indirect hernia after surgery. The second suture line, in continuity with the first, upon its return medially, juxtaposes the flap internal oblique muscle and transversalis fascia to the curving or shelving component of the inguinal ligament. The suture line should include fibers of the ilio-­‐pubic tract at the level of the femoral vein. The suture line is completed at the level of the pubic tubercle where it is tied to the standing end of the tied wire giving origin to the first suture line. The internal inguinal ring is checked with a Kelly clamp for slackness and for the presence of blood in Bogros’ space. The third and fourth suture lines commence at the internal inguinal ring and are placed between the internal oblique muscle (superiorly) and an imbricating a substantial portion of the inguinal ligament. Once the area of the pubic tubercle is reached, the suture line is reversed, becoming the fourth suture line that reinforces the apposition of the internal oblique muscle and the inguinal ligament. This effectively converts a portion of roof, now buttressing the floor of the canal. A key component of the strength of the repair. The internal inguinal ring is again checked to assure that a modest degree of laxity permits the spermatic cord to exit comfortably to the inguinal canal and the presence of blood in Bogros’ space. The medial stump of the cremasteric muscle is transferred around the cord, inferiorly, to be included in the suture repair of the aponeurosis of the external oblique muscle utilizing 2-­‐0 Maxon suture material. The ilio-­‐inguinal nerve, if protected under a retractor, is replaced over the spermatic cord. A haemostatic clamp is placed in the most lateral angle of the incision carried out in the external oblique aponeurosis to facilitate closure. Local anesthesia is infiltrated in the sub dermal and dermal layers. The wound is flushed with sterile water/saline. A suture of 2-­‐0 Maxon is placed in the middle of the incision encompassing Scarpa’s fascia in either side and the aponeurosis of the external oblique aponeurosis, to decrease dead space. The surgical fields are removed. Skin closure with subcutaneous suture (rapid dissolving); no staples or clips. Water tight dressing is applied over the closed incision. Patient discharged to recovery area to be monitored closely.